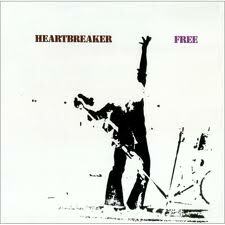 …2014 – w 13 Album of the Week is “Heartbreaker” by Free. One of the seminal British blues-rock bands of the 1970´s, formed in 1968 by members still in their teens. Their hit “All right now” brought success which in many ways led to their early demise. Releasing five albums in four years the group disbanded because of differences between singer Paul Rodgers and bassist Andy Fraser, as well as the increasingly debilitating drug addiction of guitarist Paul Kossoff. After some personnel changes the band reconvened for their last record “Heartbreaker”, released in early 1973. I must have been about 10 years old when my brother brought this album home, and I immediately fell for it. Although based in generic blues-rock it showed an unusual melodic maturity as well as pop sensibilities way ahead of its time. Great songs beautifully arranged and expertly played. An album that I´ve listened to regularly from the seventies onwards to the present. The first song, “Wishing well”, has everything you could ask for in a rock tune. From the opening guitar riff through the quicksilver-like verses and chorus everything is perfect. Beautifully played and sung this is a classic that still holds its ground. The album continues with slow ballad “Come together in the morning”, showcasing the rhythm section of the band as well as the soulfull singing of Paul Rodgers. One of my absolute favourites by the group by way of its melodic intensity and the performance by guitarist Paul Kossoff. “Travellin in style” goes back to the aesthetic of the band´s first records, more blues than pop but still with a melody chugging along like a train. The rootsy sound of title song “Heartbreaker” sees the band heading for Zeppelin country while still keeping their melodic inventiveness. Great riffs, peerless singing, and arrangements to die for makes this an exceptional moment on the record. And how could you not love that Hammond organ. “Muddy Water” is yet a strong ballad with a lifting chorus, carried by Rodgers` expressive voice and some really nice harmonizing. The last three songs on the album goes in a slightly darker direction. The dramatic “Common mortal man” seems to be about Paul Kossoff, with its reference to “the needle factory”. “Easy on my soul” has a flowing piano figure adding beauty to the melancholic feel of the song. Final song “Seven angels” adds drama and a sense of foreboding, as well as a very strong vocal performance by Rodgers. A mighty closer to a great album. This entry was posted in Album of the week, Music and tagged Free, Heartbreaker on March 24, 2014 by danolofohman.